Mr BehomeforT took me to Adelaide this weekend to celebrate my 30th birthday. I had never been to Adelaide before and I was beyond excited! We spent Saturday in the Barossa Valley drinking beautiful wine, including some of the best shiraz I have ever had. 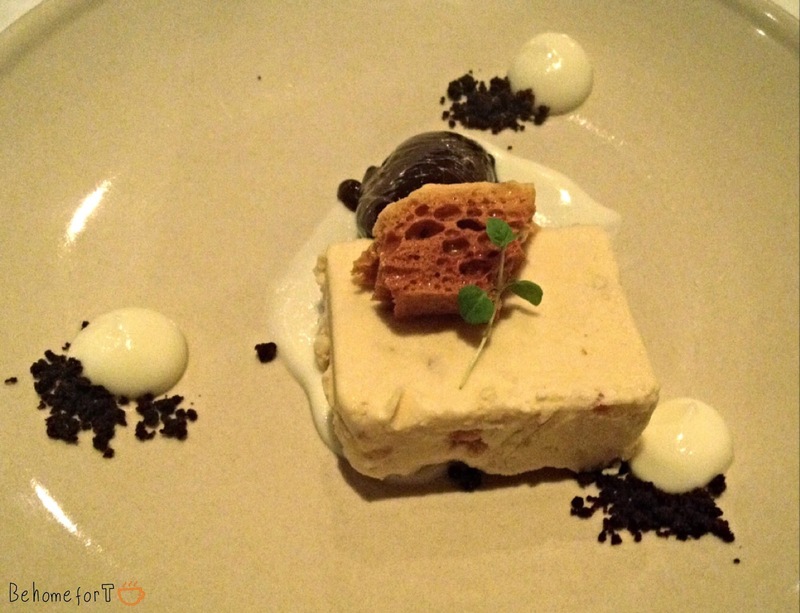 Of course we were hungry after a long day of wine tasting, and Mr BehomeforT had made a reservation at Georges on Waymouth in Adelaide's CBD. The restaurant was pretty much opposite to the hotel where we were staying. The place looked classy and sophisticated and was, I believe, fully booked. We were looked after by a friendly girl with a French accent and did not have to ask for something once. Staff was amazing. We decided to go for the tasting menu which consisted of 5 courses. There was an option to have matching wines with the courses, however after a full day of wine tasting we thought it would be better to order a few wines. I always ask for a wine which matches the food anyway, so I still enjoyed some lovely Barossa (and Greek!) wines. This was our first dish and it was lovely! What I love about tasting menu's is that you have no idea what you will get and you get to try things that you would normally never order. This would be one of them. The idea of eating cold terrine always put me of. However, I have always wanted to make one (they look so pretty!). I will put that on my to do list. 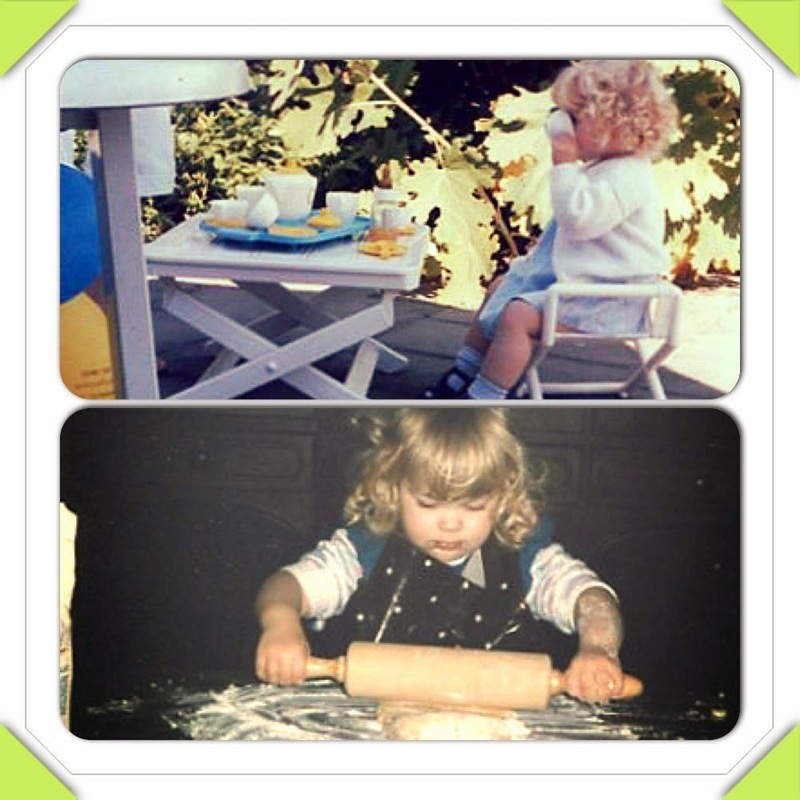 Anyway, back to the terrine. 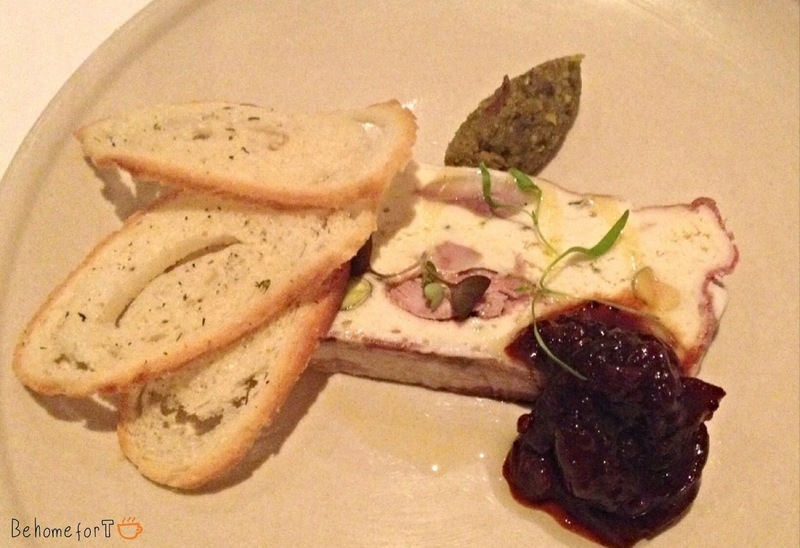 The terrine was nice and moist and had a beautiful texture to it. The crunchy pistachio's gave some crunch to the otherwise soft terrine. The flavour was delicious. Not overly strong and you could just get a little hint of the tarragon. In addition to pistachio's in the terrine, there was also a beautiful pistachio pesto, which was nice and sweet. My favourite part of the dish was the chutney. The chutney was sweet and had amazing spices in it. I have no idea which spices, but it tasted like winter (cloves, aniseed). I could easily have that on some toast for lunch. Or just by itself. The crostini was nice and crunchy. Our second dish was another of those dishes I would have never ordered myself. I'm glad we got to taste it, because it was delicious! I never had octopus before (the look of those tentacles!) but it was super moist and tasty. The morcilla was not overly salty but soft. 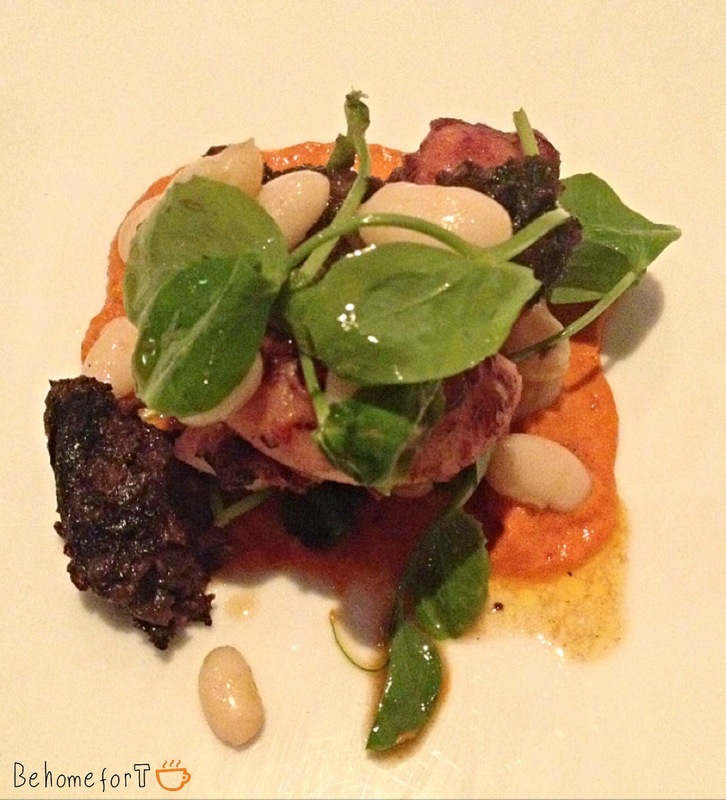 The beans gave it a nice creamy texture and the sauce romesco a tangy twist. Very nice. A vegetarian dish! 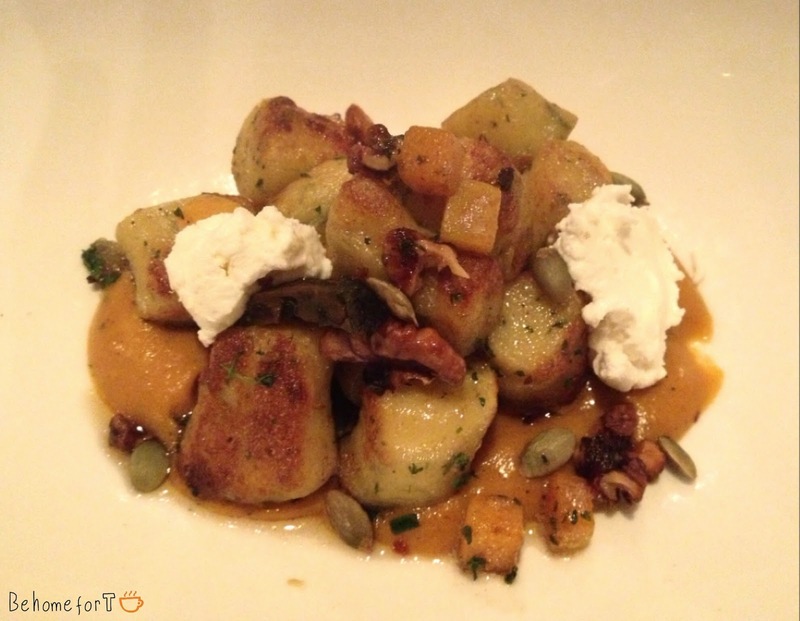 The gnocci was soft on the inside and cruncy on the outside and the butternut squash was sweet, soft and creamy. I could not taste the sage very well. The goat's cheese was nice and tangy and made the dish even creamier. I love goat's cheese! There was some sort of lemon zesty chewy thingy in the dish. I had no idea what that was, but it was good. This dish was so filling! I could only eat half of it (after picking all the cheese out and eating it). This dish! Oh wow! The lamb fell apart and melted in your mouth. It had some sort of meat around it too, slightly salty. Perhaps that was prosciutto. 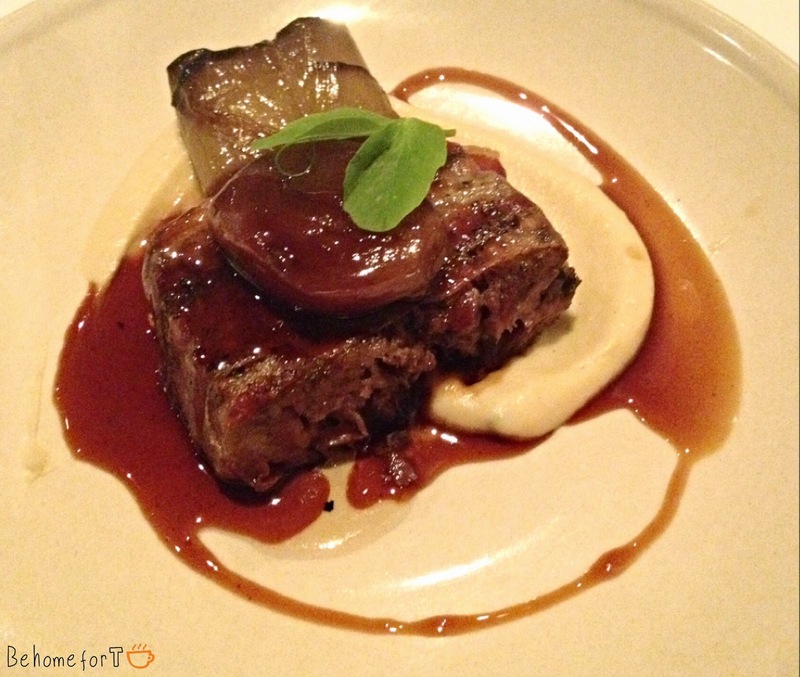 The celeriac puree was nice and sweet and soft and provided a lovely contrast to the hearty lamb. The port sauce was also sweet and so full of flavour. The challots were soft and tangy. This dish was out of this world. We were looking forward to the dessert. Peanutbutter is one of those simple guilty pleasures (boring toast with loads of peanut butter for breakfast, peanut butter on apple slices, spoonfuls of peanut butter) and you don't see a dessert with peanut butter that often. The parfait was cold and the flavour was nice and mild. There were small crunchy bits in it which gave it some texture. I am not a big fan of honeycomb. It is too sweet for me. However, in this dish, the chocolate cremeux was so chocolate-ey and strong that some sweetness worked well. Then there were the yogurt drops with nice chocolate crumbs. I was so stuffed after going through the whole tasting menu that I found it difficult to stand up straight after we finished dinner.